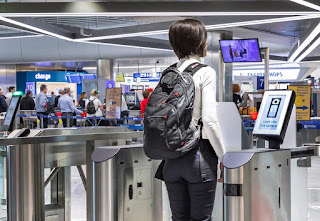 Athens Airport has become the first airport in Europe to trial SITA Smart PathTM, a unique solution where passengers can use their facial biometrics to identify themselves at key steps in the journey without having to show their passport or boarding card. When arriving at Athens Airport to check-in, passengers who utilize the trial service, scan their passport and have their photo taken. Once completed, passengers can then proceed to security where they can quickly be verified as a known traveler – without having to show a boarding pass. Passengers simply have their face scanned and then are offered a fast track through security. A key benefit of Smart Path is that its technology integrates with the airport’s existing common-use check-in kiosks and boarding gates, making the solution both cost-effective and available to multiple airlines. Smart Path can also be tailored to an airport’s or airline’s specific requirements, allowing Athens Airport to offer this service to other airlines in future, including Aegean’s Star Alliance partners. Athens International Airport is the latest airport to use SITA’s Smart Path solution, joining Brisbane, Doha, Muscat, Orlando, Miami and Boston airports while numerous other airports in Europe and US are expected to implement the solution in 2019.